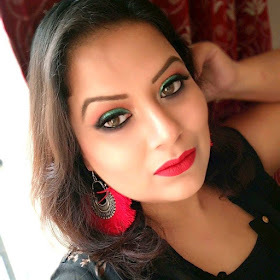 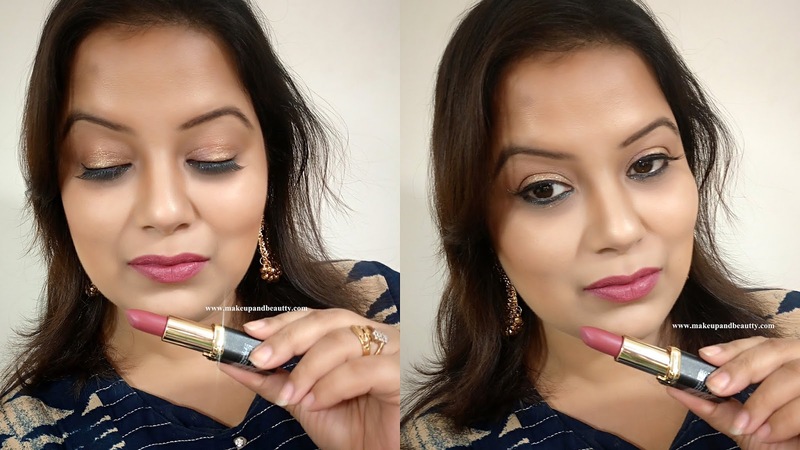 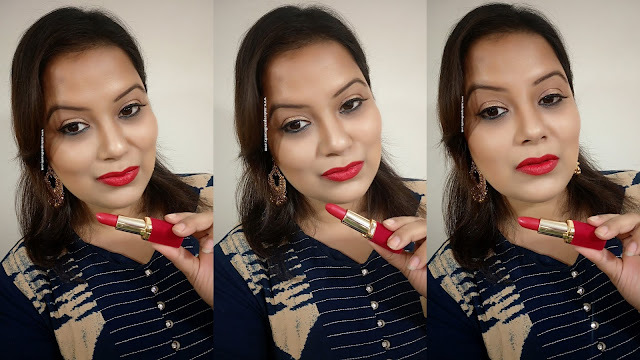 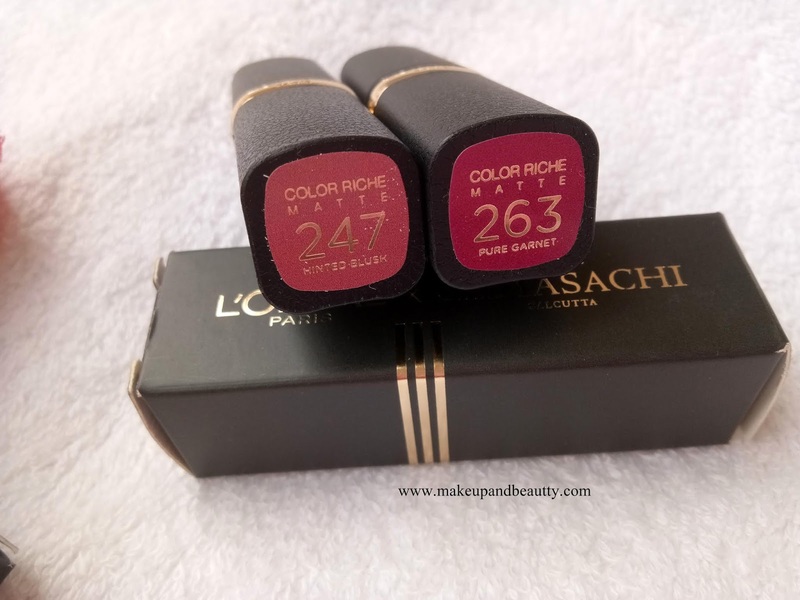 I am up today with review & swatches of L'Oreal Paris Color Riche Moist Matte Lipstick Sabyasachi Collection & L'Oreal Paris Limited Edition Cannes Lipstick. Price of all 3 lipsticks:- Rs.750/- each. 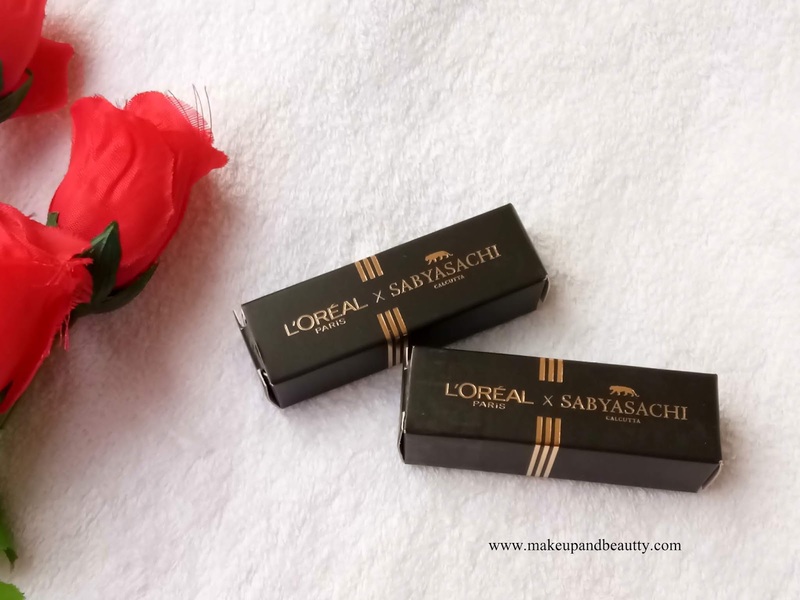 L'Oreal Paris Color Riche Moist Matte Lipstick Sabyasachi Collection lipsticks HINTED BLUSH and PURE GARNET comes up in a black and gold combo packaging. 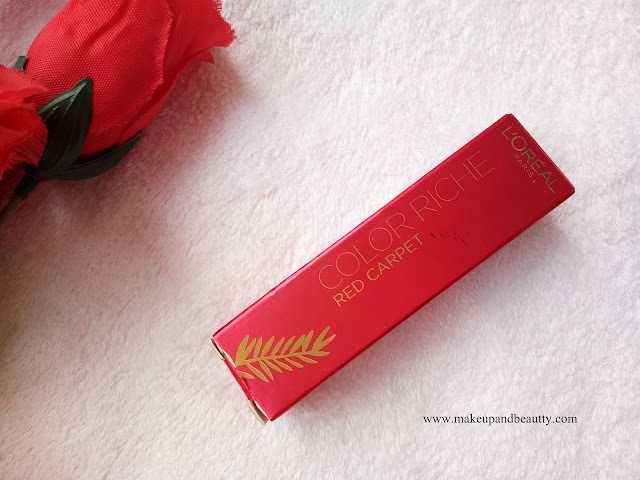 The L'Oreal Paris Limited Edition Cannes Lipstick RED CARPET comes in red and gold combo packaging. 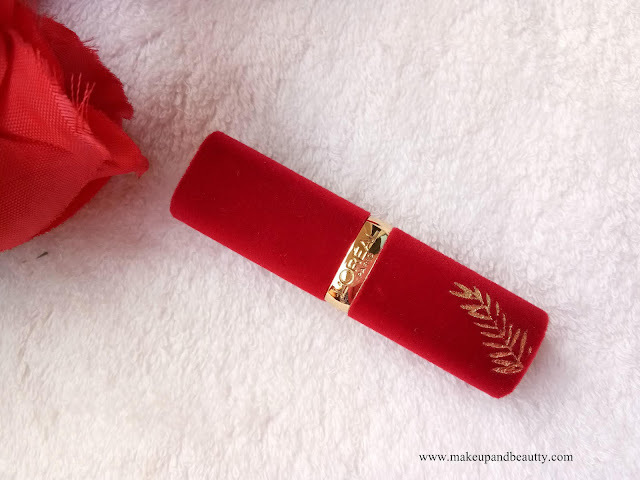 The lipstick case has a red velvety finish and in it, there is gold leaf print too. 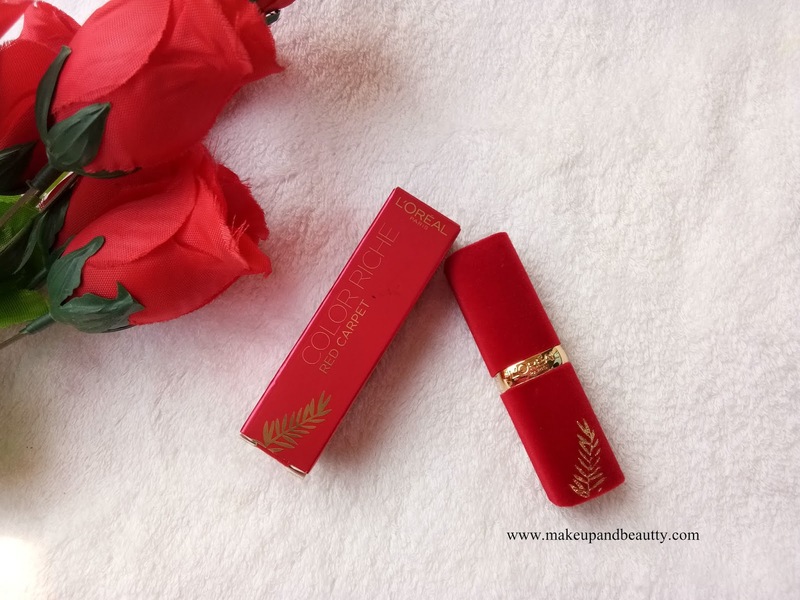 All the packaging of these lipsticks is really classy. 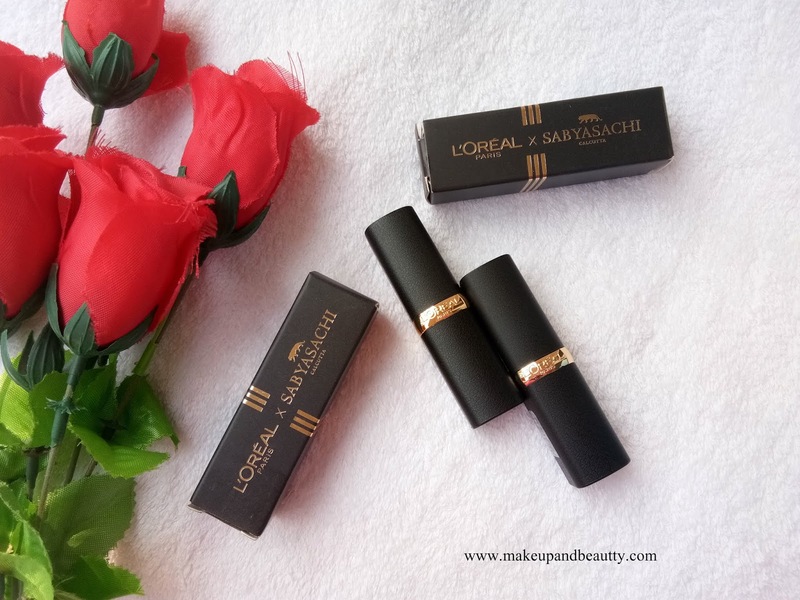 All 3 lipsticks are creamy matte in texture. 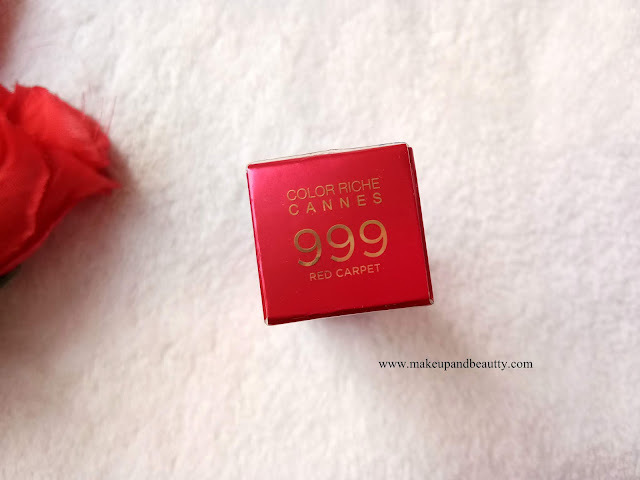 There are super pigmented. 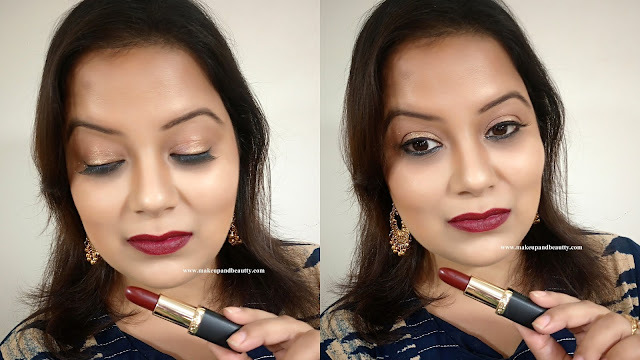 One or two swipe is enough to get the opaque coverage. 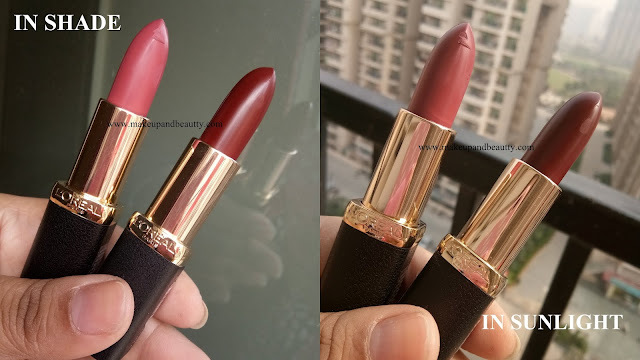 The lipsticks are not transfer proof hence they keep on fading with time. 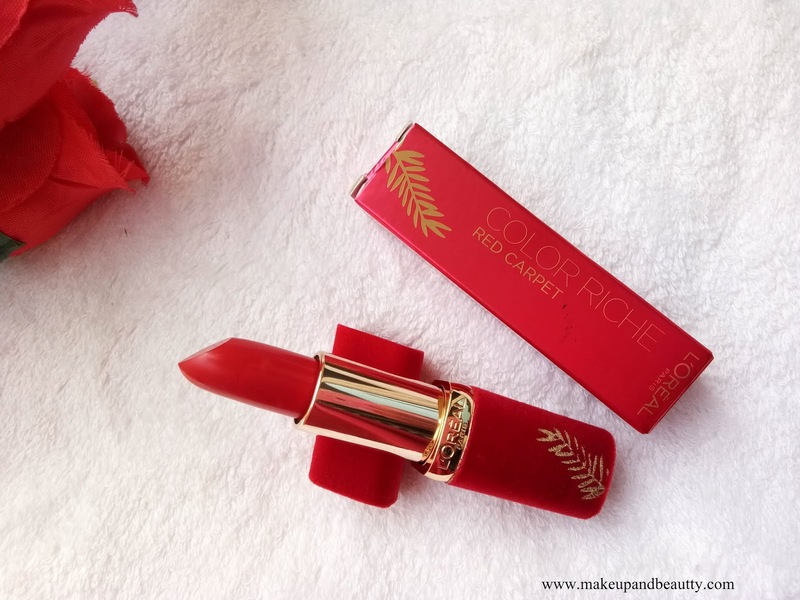 The staying power of these lipsticks is not so impressive. They stay 4-5 hours hardly on my lips. The darker shades stay a little longer than the lighter one. 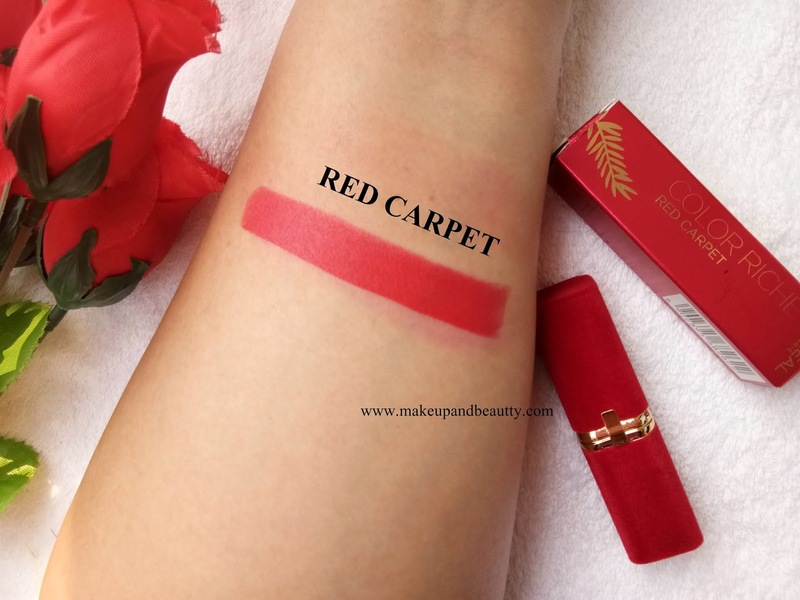 Over in all, I am not so impressed with the quality of the lipstick when I compare it with the price that I paid for it. 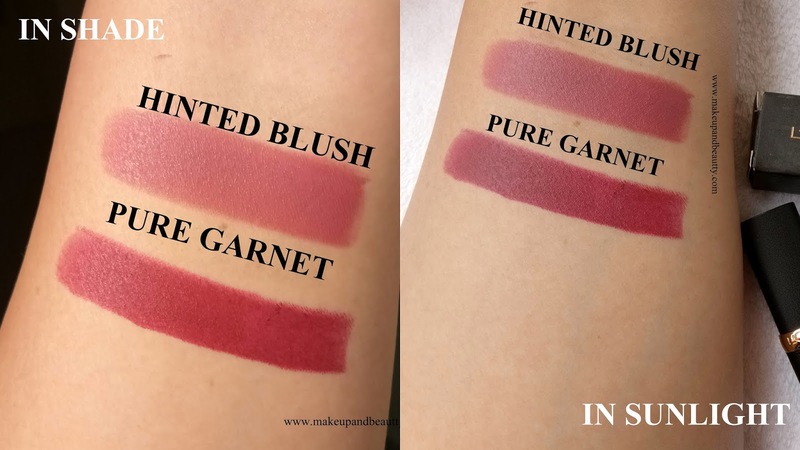 I like the hinted blush and pure garnet.